When deadlines are looming, Pro Tools offers timesaving tools to streamline your creative workflow. Whether you’re making music or producing soundtracks for picture - on your own or collaboratively with others in the cloud or in the studio - Pro Tools maximizes your efficiency, so you can stay inspired and focused to deliver your best work possible. Polish mixes with over 60 AAX plug-ins included. From high-quality reverbs, EQs, and dynamics, to guitar amp emulators, you have everything you need to shape, enhance, and fine-tune your sound. 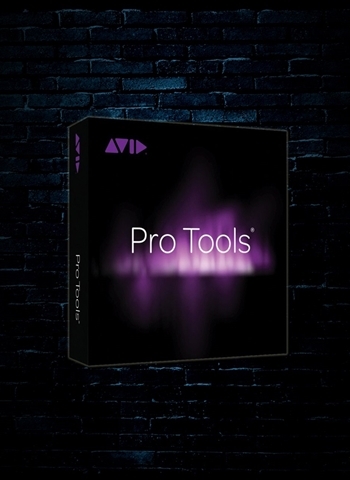 If you’re a Pro Tools subscriber, you get access to 17 additional plug-ins. Want more? Shop the in-app Marketplace - or get every audio plug-in we offer with the Avid Complete Plug-in Bundle. Imagine being able to work on a project with other Pro Tools users online - as if you’re all working together in the same studio. You can with Avid Cloud Collaboration. Work with up to 10 collaborators on a single project. Access projects from anywhere using any Pro Tools-equipped computer. Need more space? Get a premium cloud plan, starting at just $4.99 USD/month. Experience the deepest level of integration when you pair Pro Tools with any EUCON-enabled control surface - including Pro Tools | S6, Pro Tools | S3, Pro Tools | Dock, Pro Tools | Control, and Artist Mix. Speed up recording, editing, and mixing tasks with access to tracks, plug-ins, and automation control right from the surface. You can even create custom keys to perform practically any Pro Tools function with a single button press.